If you have been through a financial planning session with an advisor, there is a good chance that you would have heard of Endowment Plans. You may even have bought a plan (or two) after discussing with your financial advisor. But what exactly are endowment plans? More importantly, are you buying the right plans that fulfill your needs? In Singapore, endowment plans are sometimes known as “endowment insurance”, mainly because there is usually an insurance component tied to the plan. There are a few characteristics that typically defines an endowment plan is. Maturity Period: Endowment plans will have a fixed maturity period. This is generally between five years to 20 years, depending on the type of plans that you buy. Usually, the maturity of your endowment plan should coincide with your objective for having bought it in the first place. Fixed Regular Premiums: Endowment plans typically require the regular payment of a fixed premium. Insurers usually offer the choice of paying for your premiums on a monthly, quarterly, semi-annually or annually. Alternatively, some insurers also provide plans that allows for the plan to be bought using a single premium (i.e. a lump-sum payment). Insurance Coverage: Endowment plans usually comes with some insurance component. Do note however that in most cases, insurance coverage provided by endowment plans are usually insufficient, on its own, to adequately insure individuals. You should avoid thinking that your endowment plan is a suitable alternative to a life insurance plan. People buy endowment plans for a variety of reasons. Usually, this involved financially working towards something important. The most common example in Singapore would be to plan towards a child’s education. Parents who buy an endowment plan will pay fixed regular premium. When the plan matures, the payout received can be used to fund a child’s education. An example of such a plan will be the AIA Smart Growth (II). There are endowment plans that are specially designed to help policyholders work towards their retirement. The key difference between these retirement-focused plans and the ones that are designed for education is the way payouts are disbursed upon maturity. Instead of a lump-sum payout, most retirement-focus plans provide a steady stream of monthly income to policyholders upon reaching a certain age. Very often, this payout comprises of both guaranteed returns and non-guaranteed returns. An example of such a plan will be the MaxRetire Income. MaxRetire Income provides policyholders with a steady stream of monthly retirement income from 65 (age next birthday) to either age 85 or 100 (age next birthday). Another example of a retirement-focus plan is AXA Retire Happy. Similar to the MaxRetire Income, the plan provides regular payouts comprising of both guaranteed and non-guaranteed returns for policyholders upon maturity. The biggest draw for these retirement-focus plans is that it provides a guarantee retirement income. Regardless of how badly the financial markets perform, insurers are obliged to pay the guaranteed payout promised to policyholders. At the same time, the non-guaranteed payout is a bonus that policyholders can also look forward to, with the exact amount depending on the performance of the insurer’s participating fund. 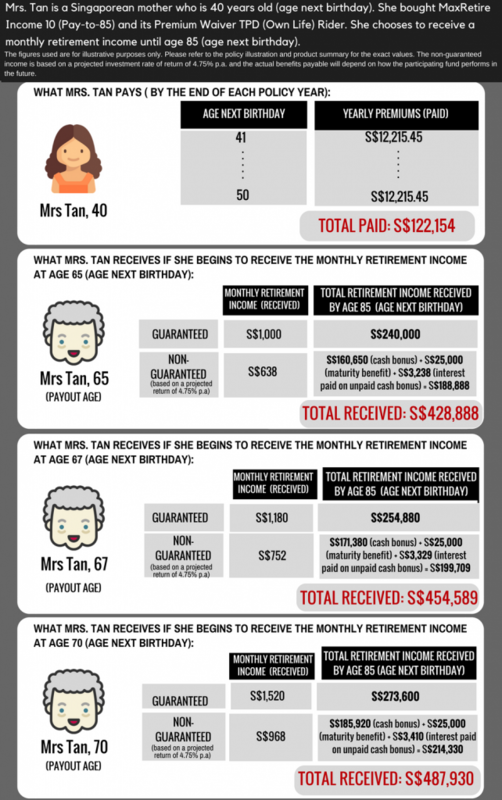 In recent years, we have seen insurers offering savings plans to consumers in Singapore. These savings plans are a type of endowment plan. Commitment period for such plans tend to be shorter, from as little as three years. As its name suggests, the primary purpose of these plans is to help policyholders save, and to earn an interest that is higher than what they would earn in a regular savings account. An example of savings plan would be the Easy save series offered by Etiqa. You can read up more about the plan in our article. 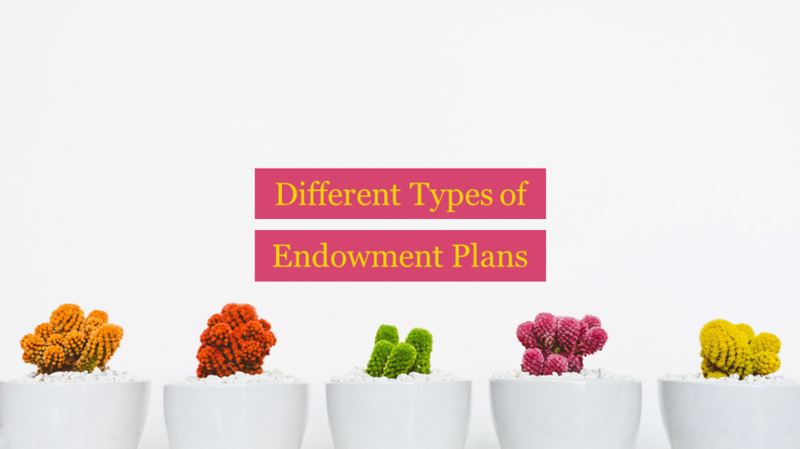 Besides knowing the different types of endowment plans there are, and whether they are really suitable for your needs, there are some other factors that you should consider before committing to any plans. Is Your Endowment Plan A Participating Or A Non-Participating Policy? A participating policy means that part of your returns will be tied to the performance of an insurer’s participating fund. If you are enticed by the attractive payout offered by an endowment plan, check if the returns are guaranteed or simply projected (i.e. non-guaranteed). If they are projected returns, then you should also differentiate between what’s guaranteed, and what’s non-guaranteed. What Are The Insurance Coverage? As mentioned earlier, most endowment plans offered by insurers will have some form of insurance coverage. The extent of the coverage you receive from the endowment plans do matter, as it would indirectly affect the actual returns that you receive. With all things being equal, you should be expecting lower returns if the insurance coverage that you receive is higher, and vice versa. DollarsAndSense.sg is a personal finance website that aim to help Singaporeans make better financial decision.